Kanata Keepsake Box Large. 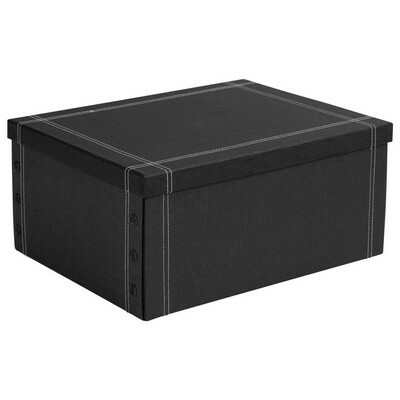 Unique box that snaps together, allowing for easy storage when not in use. Easy to carry home from conferences. Rich textured satin finish for the executive look | Snaps customized with Kanata morning star detail | Ideal to store documents or photos. Item Size: 40.5cm x 18cm x 32cm. Colours: Black. Decoration Options Available: Lasering. From $23.49 For a confirmed price including decoration, setup and additional charges, please fill out the quote request form.